These England v Pakistan tickets can be bought from their respective county official websites. Also, to be able to buy the ticket for the Trent Bridge ODI, fans will need to register their request first. The Oval ODI tickets will be available through a ballot on their official website too. 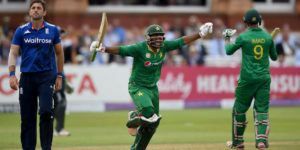 The England v Pakistan matches will be telecast live on Sky Sports in the UK while Pakistan fans can watch the series live on Geo and/or Ten Sports. However, more information on this is yet to be released and we will update it once we have it.